With over 50 years of experience, Fondovalle is today among the leading companies in the production and trade of porcelain stoneware floor and wall tiles. A milestone for Ceramica Fondovalle, the fruit of a journey begun in 1962 and made of aesthetic research, quality, attention to detail, development and technological innovation, protection of the environment and the territory; but above all made of people, ideas and materials that daily merge to offer national and international markets the best of Italian ceramic design. For this reason, the technical design, the aesthetic study and the research of stylistic trends have always been central to us, supported by continuous strategic investments and constant technological innovation that guarantee the excellence of the production processes, the quality and exclusivity of the products and the efficiency of the service. 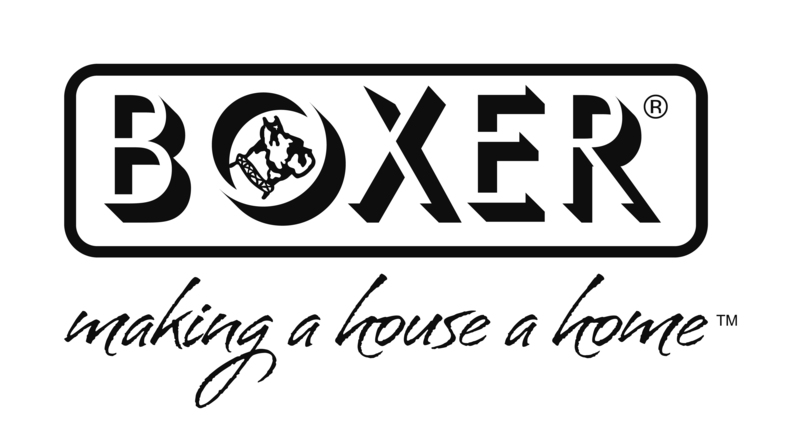 It is with the passion of doing what you love that in Boxer since 1982 they create, invent, experiment and propose a world of ideas around the concept of mosaic and decoration. It is their job and they do it well, going beyond the classical concept of mosaic, peeling it, renewing it and allowing you to make a home a house. Leonardo joined Cooperativa Ceramica d’Imola in 1993. The name of the brand encapsulates the genesis of this product that looks to the past to find a new, creative spirit to enjoy in both the present and future. Its inspiration comes from one of the most glorious periods of the Renaissance and the person of Leonardo da Vinci, the universally acknowledged genius and precursor of a new concept of creativity combining art and science. The Leonardo collections reflect this revolutionary mood as they achieve a perfect balance between artistic appeal and advanced technology. An acute awareness of latest trends and a constant commitment to research and development guarantee that our floor and wall tiles are always ready to satisfy those who insist on hi-tech ceramics. Mixes, materials and finishes are all meticulously analysed to produce ceramics with the highest performance levels guaranteed by a company history whose roots are buried deep in Made in Italy quality and knowhow. 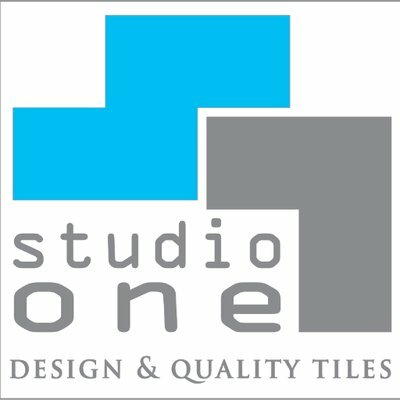 Studio One, since the beginning, offers ceramic kits and decorations for both floors and walls. Over the years it has pursued the goal of constantly updating and expanding the range of products to satisfy an increasingly demanding market, attentive to new “trends”. In recent years the range of products has been enriched with the new T-ONE brand to provide a complete line of porcelain stoneware in thin thickness of 3 and 6 mm in sheets of 1 × 3 meters. The only limit to using this material is your imagination. Con.Ca.Marmi is an established reality for over 60 years (founded in 1953) in the marble, granite and natural stones industry. Now in its third generation, thanks to the continued investment in the production processes and in the more advanced technologies the know-how reached by the company is such that any requirement can be satisfied. The engineering and computerized precision, the knowledge of the materials, the wealth of experience gained in many years as well as the love for the processing of stone materials make of Con.Ca.Marmi an international representative in their field. 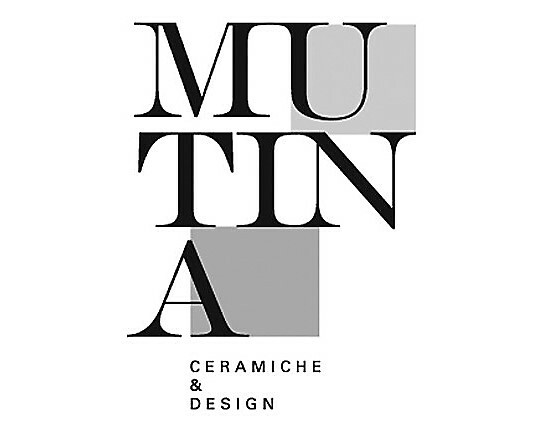 Mutina is a brand new way of looking at ceramics. These are no longer tiles, but objects of interior design. Mutina is an artistic project that unites technology, craft, experimentation and research to push the boundaries of the material itself and create a high-quality product. Apavisa porcelanico, is the foremost manufacturer in the production and commercialization of high-technical porcelain. The plant location of apavisa porcelanico merges the ability of its highly technically qualified staff and the most advanced technology in a plant surface area of over 250,000 sqm. Apavisa has a permanent stock with an extensive range of products. Three groups can be distinguished within these products: metal, concrete, stone, wood, monocolor. With representatives in more that 100 countries, apavisa offers the global market a constantly appropriate and accurate reponse, as well as a product that gives professionals and consumers the confidence that every major project needs. Disegna is part of the Condepol group, producer of planks in HDPE ( high density polyethylene. The DISEGNA range of products are the result of continuous research and a meticulous manufacturing process that combine design, functionality and ecology to offer the most innovative solutions to architecture and exterior design. Manufactured from WPC (Wood Plastic Composite) and materials of the highest quality, DISEGNA DECKING, DISEGNA WALLING and the BASTONE LINE, with its wide range of colors lasting in time and different finishes, open a window to creativity allowing execute projects of exterior architecture until today unimaginable. 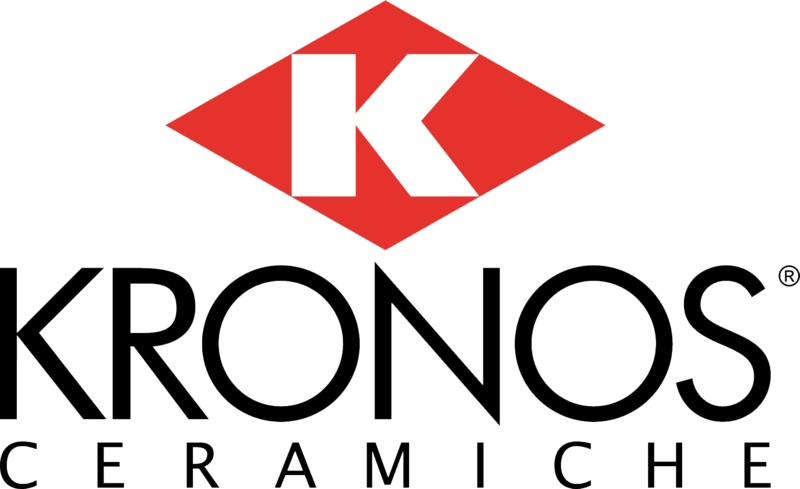 KRONOS is a company that has its roots in a land where the value of traditional ceramics has become part of the culture of a people that from generation to generation has been able to bring the ceramic industry and its product to represent the Made in Italy in the world. For more than 30 years it has been an excellence in this sector. Stylistic research and DNA based on constant product innovation make it a leader in the production of porcelain stoneware floors and walls for indoor and outdoor. ABK was established in 1992 as a ceramics manufacturer specialising in wall tiles. Thanks to a series of strategic, carefully targeted acquisitions, the ABK brand now also stands out in the manufacture of porcelain stoneware floor tiles, offeringABK was established in 1992 as a ceramics manufacturer specialising in wall tiles. 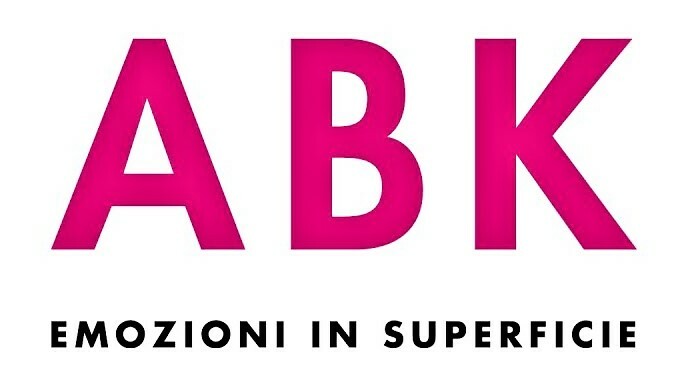 Thanks to a series of strategic, carefully targeted acquisitions, the ABK brand now also stands out in the manufacture of porcelain stoneware floor tiles, offering clearly identifiable products whose aesthetics and quality do not just meet market trends, they often set them. Nowadays, the company is recognised worldwide as a leader in Italian ceramics whose corporate philosophy has quality and service at its core. This is possible thanks to the two major industrial facilities, equipped with specialised production technology, located in and Solignano, which work in synergy with the logistics hub in Fiorano Modenese. clearly identifiable products whose aesthetics and quality do not just meet market trends, they often set them. Nowadays, the company is recognised worldwide as a leader in Italian ceramics whose corporate philosophy has quality and service at its core. This is possible thanks to the two major industrial facilities, equipped with specialised production technology, located in and Solignano, which work in synergy with the logistics hub in Fiorano Modenese. BOEN is international player in the hardwood flooring business. BOEN products are sold in more than 50 countries, on four continents, with Corporate Management based in Norway. Florim ceramic products are the result of the most advanced production technologies combined with constant aesthetic research. Porcelain stoneware slabs that meet the widest variety of design needs and characterize the environments with a well-defined personality. The Group has production units, companies and partnerships in Europe, America and Asia and distributes world-wide under the brands Floor Gres, Rex, Cerim, Casa dolce casa – Casamood, FLORIM stone, CEDIT – Ceramiche d’Italia. The history of this company in Monte di Malo, in the province of Vicenza, began with the tumbled tile, a process that requires antiquing the stone. Petra Antiqua, in fact, was born in 1995 as a small handcraft business in the tumbled marble floor and cladding sector, which, through the commitment and initiative of the Bressan family, has expanded its market worldwide.Petra Antiqua has developed new types of products, thanks to various tests on working the stone, and now boasts wonderful artistic collections. . In Petra Antiqua, technicians, master craftsmen and other professionals of the sector design and create unique stone floors and cladding: colours, patinas, gold leaf, ideas and passion fit and blend into true works of art, designed by artists, in-house staff or customised to meet customer requirements. From a smooth surface, floors and cladding and precious stone decorations are created, the result of careful work, focusing on every single detail, to create artistic products with the unmistakable imprint of Italian craftsmanship. The continuous improvement in product quality, the constant creative research and the presence of Petra Antiqua at the most important trade fairs in the sector, are the roots on which the prestige of the company and the exclusivity of its production are based. The simplicity of a ZIP code to identify a place of belonging and all the values that are related to it. A creative space, which aims for excellence in ceramics, the importance of his research and its content. A young team held together by common interests. A language that is shaped by the contamination of elements from many different contexts. The constant commitment towards aesthetic research and technological innovation has seen the company achieve product and production excellence, thus becoming more and more competitive on the international market. Panaria is an expression of the great ceramic tradition of Panariagroup Industrie Ceramiche S.p.A., an Italian multinational group and world leader in the manufacture and distribution of ceramic surfaces for flooring and cladding. Always able to represent the most popular contemporary styles, combining quality with the ability to interpret the needs of its clients, Panaria Ceramica is a brand that is deeply rooted in the culture of “making ceramics”. Its passion, along with a uniquely Made in Italy talent for providing aesthetically attractive, high quality, and reliable solutions, has given it the strength, over the years, to renew the values of a long-standing tradition. The energy of those who succeed in realizing their ideas, is naturally emanating from Albino Celato who in 2003 founded De Castelli, a brand destined immediately to be asserted, thanks to a centuries-old experience inherited from his family of blacksmiths. De Castelli soon identified itself as a company that introduced iron, corten, steel and brass in design for indoor and outdoor. Marazzi is the most famous brand in the ceramic tile industry. Present in more than 140 countries, it is universally recognized as a synonym of quality ceramics for floors and walls and is the symbol of the best made in Italy in the furniture and design sector. Ceramica Sant’Agostino, with its strong roots in the territory and more than fifty years of history, is an international company that, even with a mentality definitely projected towards the future, has preserved its values and traditions intact. The company has always focused stylistic and technological research towards projects that are consistent and aimed at ensuring the highest quality of materials. The high aesthetic and technical performance of its products are the result of distinctive choices, which brought the brand to imprint its own unmistakable mark in the world ceramic industry. Mirage designs and produces porcelain stoneware floors and coverings for commercial, public and residential spaces. Through solid expertise and “know-how”, Mirage is able to install ceramic solutions that can enhance any design theme in an environmentally-friendly manner. The staff at Mirage have been designing new living solutions for 45 years, collaborating with more than 160 countries around the world. They place a strong focus on the latests trends and constantly carry out innovative research. Mirage is a guarantee of stability and reliability, ensured by solid experience that has marked milestones in the development of porcelain stoneware. Thorough knowledge of materials, combined with hard work in research and development, has allowed Mirage to offer ever-more innovative solutions synonymous with reliability and quality. FLAVIKER, born in the early 60s, anticipated market trends by pioneering porcelain stoneware in the Emilia ceramic tile district of northern Italy. Today innovation – together with design and a marked awareness of eco-sustainable practices – are the qualities that distinguish FLAVIKER as a benchmark for porcelain stoneware Made in Italy. Geared to meet the exacting needs of architects and designers, we consciously explore the universe of contemporary surfaces, combining aesthetic excellence and technological innovation, providing a high performance product which is also modern and avant-garde. Each collection becomes a versatile tool in the hands of the designer, always imprinting a distinctive feature, whether for indoor residential settings or outdoor public and commercial areas. The Ragno brand is one of the historic protagonists of the growth and success of the Italian ceramic tile industry all over the world.Founded in 1949 in Sassuolo, Ragno becomes one of the key-actors of the ceramic district’s growth thanks to its ability to produce wall tiles for domestic spaces, in the 60’s and 70’s its expertise extends also in the production of glazed tiles for floor and wall covering destined to various segments of the building industry both nationally and internationally. Faenza and its artistic culture are the unique inspiration behind a new creative design project. It is a style of production that first emerged in 1962 with Carlo Zauli, the company’s Art Director and Designer up until the 1990s. Zauli’s approach was based on a highly refined vision of art and elegance and his works are still displayed in prestigious international institutions like the Victoria & Albert Museum in London. A culture of ceramics and innovation seen as a synergy of technical expertise and creativity, this is the unique style of LaFaenza ceramics, today part of the great Imola Group.